The Ignition Barrel is a barrel in the Donkey Kong Country game, Donkey Kong Country 3: Dixie Kong's Double Trouble! Only one appears in the game. 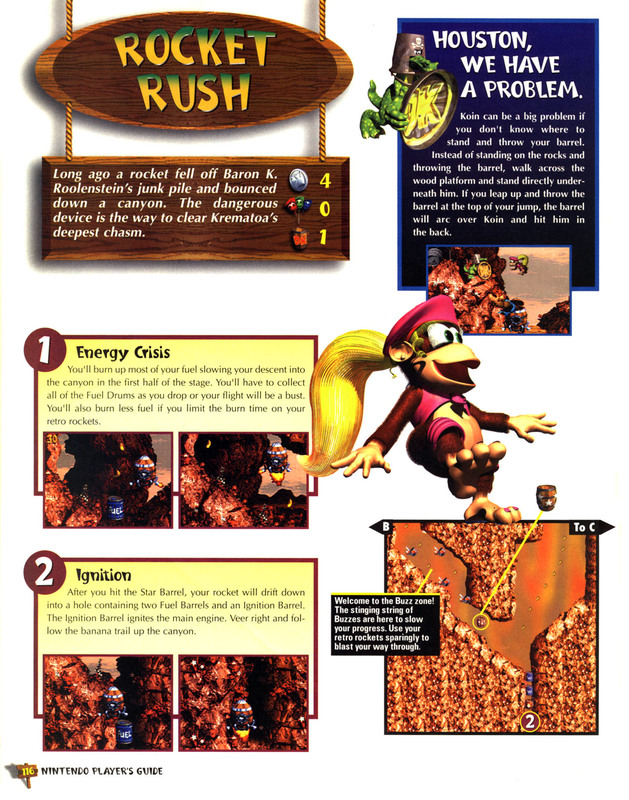 During Rocket Rush, the game's final level, Dixie Kong and Kiddy Kong have to make their way to the bottom of the cliff-side in a Rocket Barrel to find this lone Ignition Barrel. After they reach the bottom, the rocket hits the top of the Ignition Barrel, breaking it. This ignites the bottom of the rocket, causing the apes to fly upwards and be able to finish the level. ↑ Donkey Kong Country 3: Dixie Kong's Double Trouble! Nintendo Player's Guide. Page 116. This page was last edited on May 9, 2018, at 11:33.